Any film or TV show that presents a completely normal family is lying to you. If the family was normal, then it wouldn’t be a real family. Dysfunctional families are a perfect storytelling device which lend themselves to virtually any genre, whether it be comedy, drama, or horror. I just started watching Parenthood, in which a sprawling mess of a family is the center of the story. It is a great show, and it got me thinking about my favorite dysfunctional families. Dysfunctional families can be disastrous. However, often that is just because their love is so strong that it compels them to do crazy things. As one of my favorite opening monologues ever explains, the Tenenbaums were once a family of overachievers who have fallen on tough times. While they are all unique and have potential, none of them trust each other, which is why they have trouble functioning as a family. This is probably all the fault of failed patriarch Royal (but hey, he did get a film named after him). You know a family is dysfunctional when the only way to get close to anyone in it is to fake a disease. “And now the story of a wealthy family who lost everything…” The Bluths have a lot in common with the Tenenbaums. In fact, creator Mitch Hurwitz was so afraid of the similarities that he nearly didn’t go through with the show. We are all glad he did. The Bluth Family’s issues could probably be blamed on their terrible father, but everybody else is complicit as well, even Michael. They lie and steal from each other like it is no big deal. Yet, they are still a family, and if you mess with one Bluth, you mess with all of them. The Bluths are a close group. Sometimes, they are just a little too close though. When your family is involved in organized crime, you know there is going to be some trouble. Funny, movie mobsters have such a strong sense of family, yet they never seem to act in their best interest. Michael Corleone wanted nothing to do with the family business, but circumstances forced him into it. That is the thing with a dysfunctional family: they will never let you leave. The worst part of it all is how Michael responds to his brother Fredo’s betrayal. It breaks my heart. In the Soprano clan, it is hard to know how somebody is actually related to somebody, or if they are even related at all. Sometimes, Christopher is Tony’s nephew, and other times he is Tony’s cousin. Family members steal each other spouses, and even resort to killing one another. Don’t even bother asking a Soprano to organize an intervention for a loved one. Good families (if that is such a thing) look out for one another. In dysfunctional families, everybody is actually just looking out for themselves. And that is why Janice is still the worst. Malcolm’s family is never given a last name (though some say their last name is Wilkerson), because they could be any family. They often struggle financially and typically dance around in their underwear. They yell at each other and frequently destroy property. Yet, at the end of every episode, we are given reason to believe that this family actually works. Lois and Hal compliment each other, while Reese will fight anybody who lays a finger on Malcolm, even if Reese might just be Malcom’s biggest bully. They may scream and fight a lot, but they love each other, even if the rest of the world doesn’t feel the same way. As the famous twist ending of The Shining shows, we really don’t know jack about the Torrances. They seem like a happy trio until Jack starts hearing voices that tell him to murder his family. Then he picks up the axe. I am pretty sure that the moral of this story is never to bring your wife and children to Colorado. 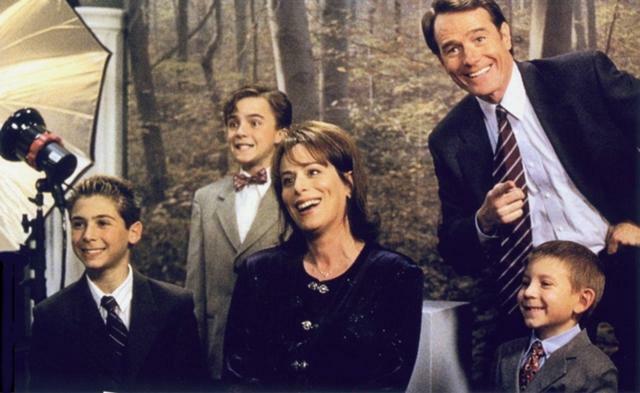 Don’t quote me on this, but the Bunkers might have been the first truly dysfunctional family on television. Archie’s ideological clashes with Meathead are the stuff on television history. As the theme song itself proclaims, Archie and Edith Bunker just weren’t made for these times. “She’s my sister! She’s my daughter! She’s my sister and my daughter!” Yes, this line means exactly what you think it means. Morality in Westeros is relative, as everybody that inhabits this world is a little insane in the membrane. There is something especially off about the Lannisters, though. They are like the Bluths of Game of Thrones, but with more access to Medieval weaponry. A brother and sister sleep with each other. A father tells his son that he never even wanted him alive. An illegitimate nephew becomes a murderous nightmare. Even Maury Povich would be too scared to have the Lannisters on his show. In Psycho, Norman and Norma Bates don’t necessarily share any screen time together, but the implication of some Freudian shades of love is creepy enough. They are basically Lucille and Buster Bluth, minus some bloodshed. This entry was posted in Uncategorized and tagged Arrested Development, Family, Game of Thrones, Parenthood on September 3, 2014 by ian0592.